Young man holding skateboard. Skater on outdoor background. Vibe of young generation. Risky and bold. Young man is holding skateboard. Back view of a skater. Skateboarding is in my blood. Life, youth and freedom. Person holds a skateboard. People on outdoor background. Sport of young generation. Stubbornness and enthusiasm. Guy holding a skateboard. Skateboarder at daytime. Sport of young and bold. Practice develops talent. Young man holding his skateboard. Skater outdoor at daytime. Sport in the blood. Hobby and lifestyle. 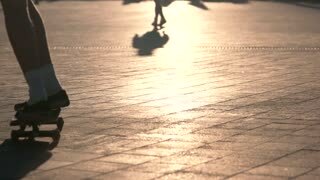 Skater doing trick in slow-mo. Person on skateboard outdoor. Young and free. Find hobby that suits you. Legs riding a skateboard. Skater in the street. Freedom and boldness. Pick up speed.